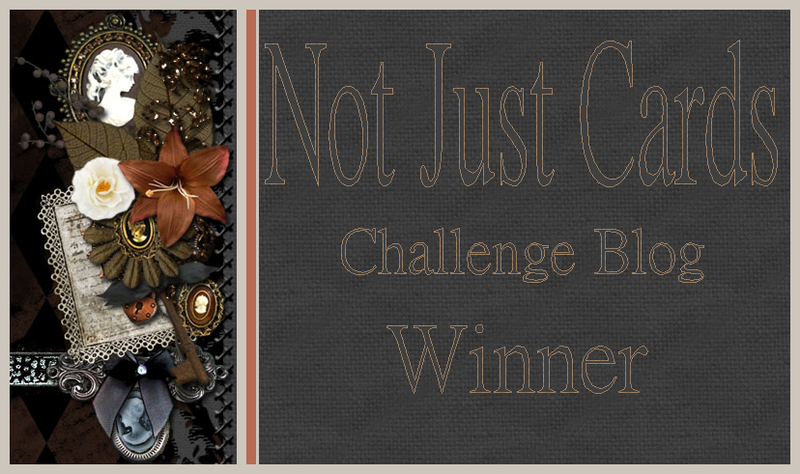 It's Wednesday, which means it's time for another challenge over at Whimsical Designs. This week's theme is "going buggy". 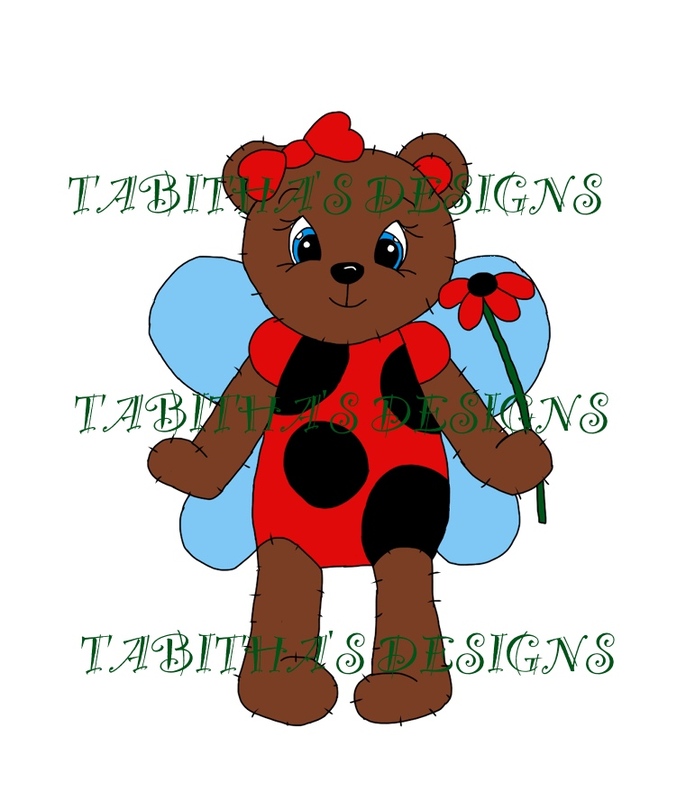 Create a card or layout and use an insect or animal on it, then link it up! Our sponsor this week is QKR Stampede and the prize is 5 digis of the winners choice. QKR Stampede was generous to send each of the design team members a digi image to work with. 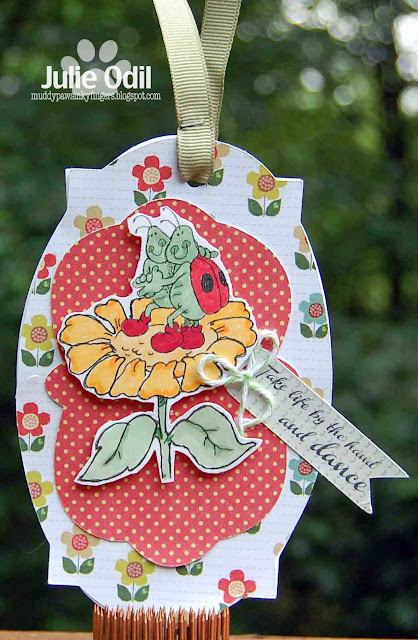 I chose these charming lady bugs, and decided to make them into a tag. 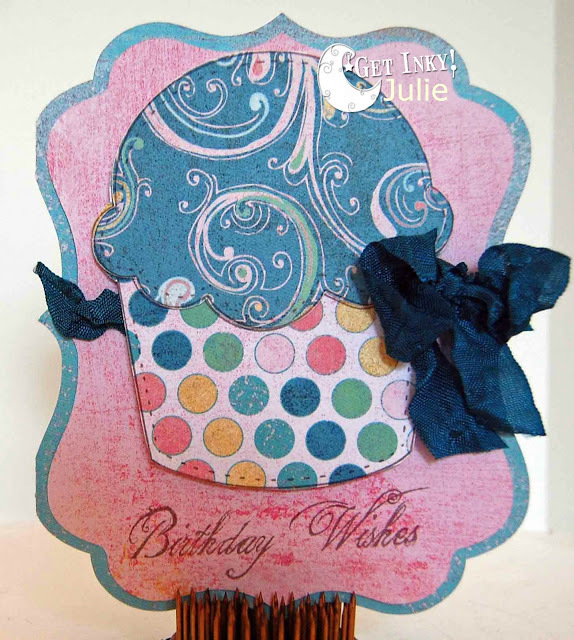 I used the Whimsical Designs "Whimsical Fun, Volume 1" stamp set. I just love this set! I use it over and over and over again when I'm crafting. I got a new pad of paper that I used on this tag. The paper is by Prima Marketing. The pad is called, "Yuki for Ruby Violet". The papers are very bright and cheerful -- perfect, I think, for dancing ladybugs on sunflowers! What do you think? I colored the stamped image with Copic markers and added a little baker's twine from my stash. 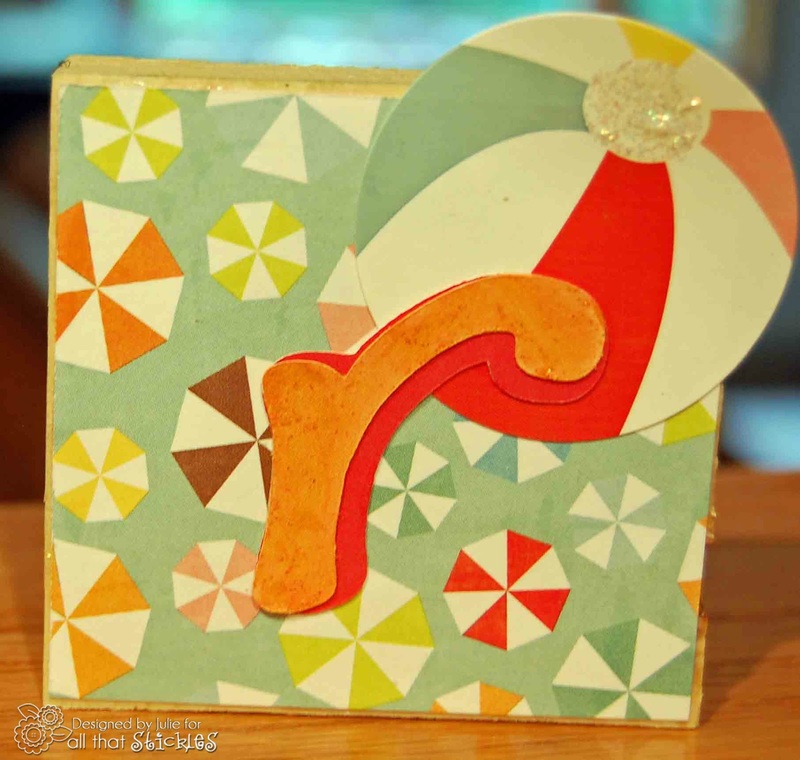 The various shapes were cut out with Spellbinders dies. 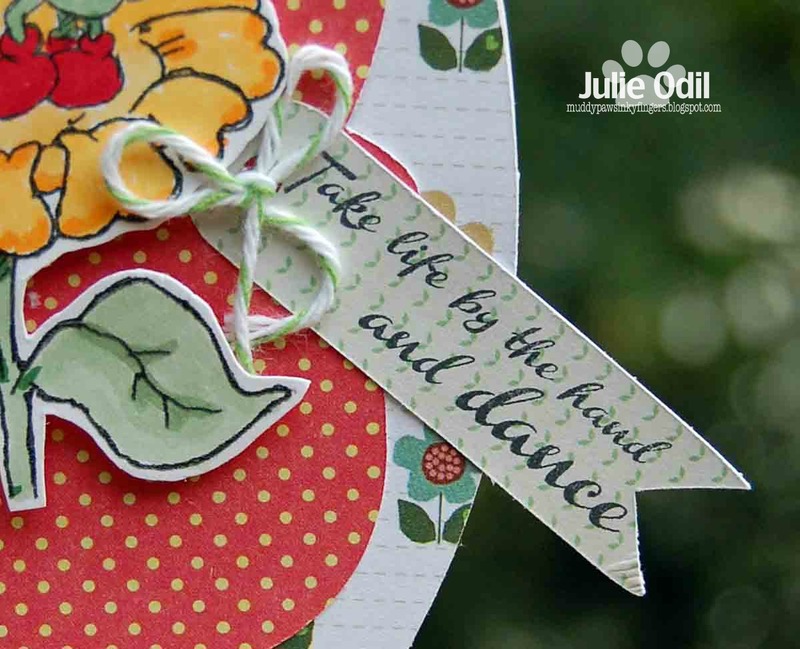 The garden green ribbon is from Close To My Heart and is held in place with a Tim Holtz Tiny Attacher. Here' s a close up of the stamped image. It's a rather philosophical sentiment, but I really like it. It's something I should try to do everyday. 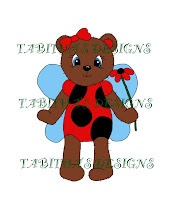 This is my last post as a design team member for Whimsical Designs. I have so enjoyed my time on this team. I thank Stephanie for giving me the chance to design for her these last several months. I have treasured every Whimsical moment of it. There are several Christmas in July challenges going on, and since July is quickly slipping away, I decided I better get entered in them soon. 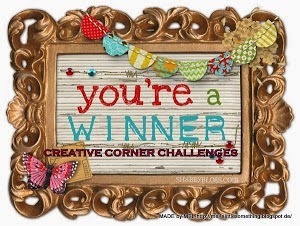 I promised to announce the winner to the blog candy from this weekend's posts early in the week. So, I made a quick Christmas card today so I'd have a card to post AND the winner of the blog candy. Woot! I used a stamp set from Raisin Boat called "Naughty or Nice". I am currently renting it, but I think I'm going to end up buying it. The set has many adorable dog images on it, and I'm a sucker for all things dog. And stamps. Put the two together and there's no hope for me. I colored the cute little guy with Copic markers and used a little Stickles on his hat. The paw print washi tape is from my stash. The wood grain Kraft is from Studio Calico. OK, now for the winner of the blog candy from the weekend: I had 7 posts from Thursday-Saturday. Using Random.org, the #7 was chosen. 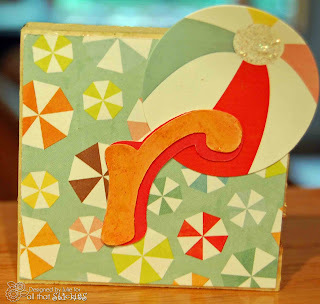 The last post was the Joy's Life blog hop post. There were 27 comments on that post. Random.org chose #19, Miwa. She says, "This is really cool! Great take on the 3-D... very clever!" Congrats, Miwa! I'll get your prize mailed out to you. 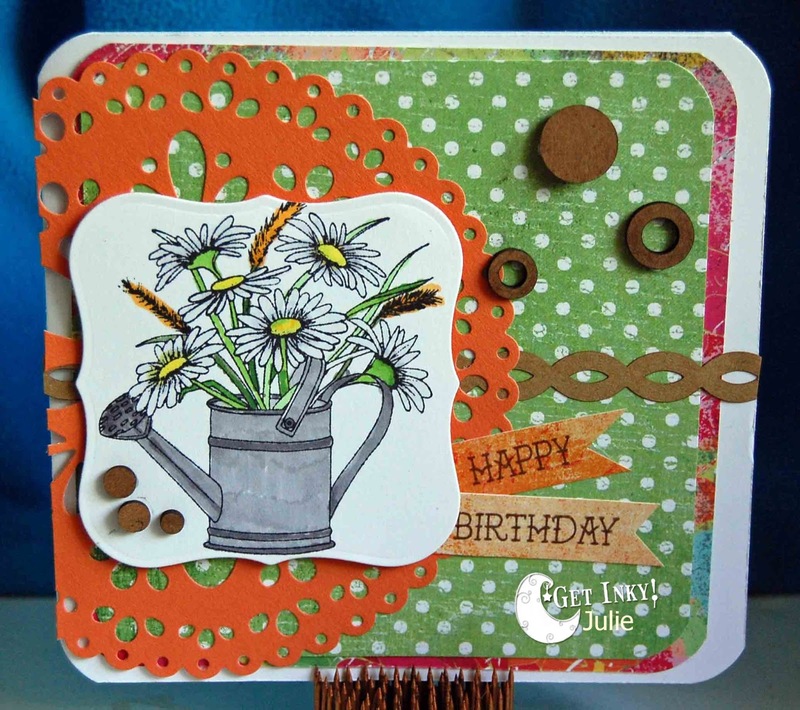 For the Craft Lovin' Challenge Blog hop, please click HERE! This is it! You are in for a treat! 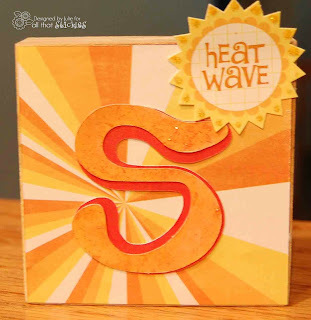 The entire Joy's Life Design Team is sharing their 3D summer themed projects with you, plus there's blog candy along the way. Grab your favorite beverage, sit back and relax, and enjoy the hop. Here's the entire lineup in case you get lost along the way. I found this box file in the Silhouette store here. I thought it was perfect for what I had in mind. You can see the depth of the box a little better in this view. 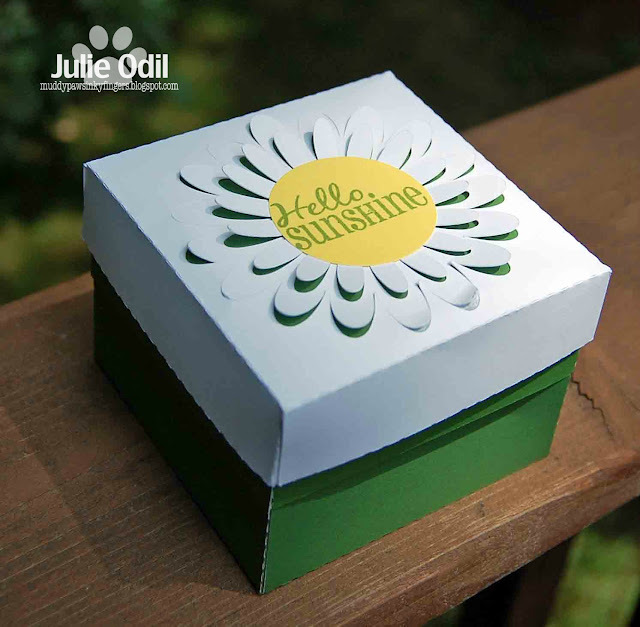 The box is layered, first being made out of green, then there's the white layer on top. I used the Joy's Life "Pun in the Sun" stamp set on this box. It is a very versatile set. I find myself using it ALL the time! I have blog candy to give away! I have a 6x6 paper pad, some ribbon, stickers, and bling. To be eligible, please follow my blog and leave a comment on this post. To increase your chances to win, you can comment on the posts from Thursday through today (there are quite a few!). I will choose a winner early next week. Now, for even more great inspiration, hop over to Laura's blog. You'll LOVE what she has for you! I'ved Enjoyed the Journey -- with All That Stickles! 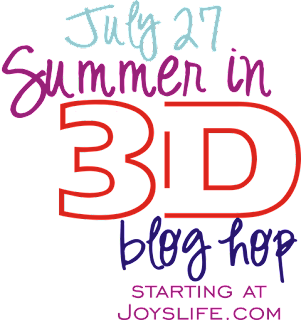 For the Joy's Life Summer 3D blog hop, click HERE! For the Craft Lovin' Challenge blog hop, please click here. 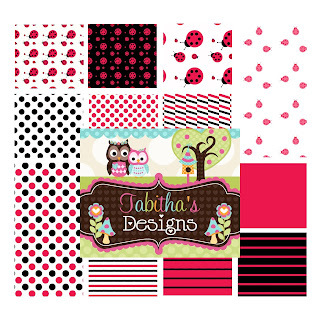 This is my final post with the All That Stickles design team. 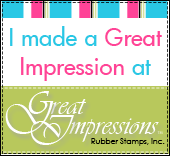 I've enjoyed the experience very much and have LOVED creating with my rather large collection of Stickles colors. I could be on the team for a long time and not use all the colors I own! I will continue to create with Stickles and join in the ATS fun! The card I designed doesn't use a lot of Stickles, but it packs a punch. I love using Stickles just for accent, and this card does just that! 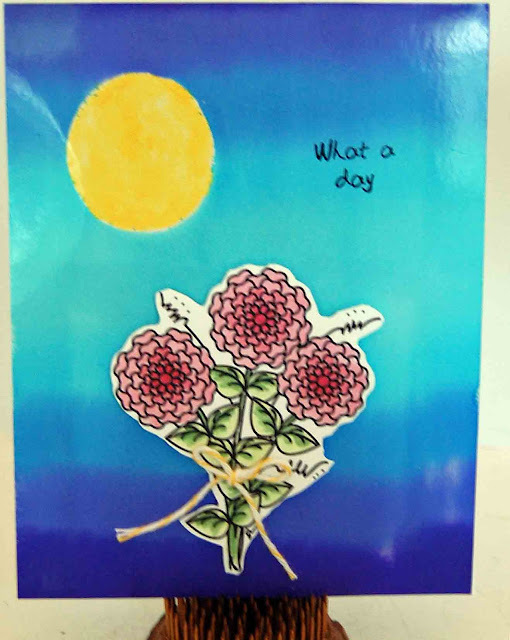 I used Waterfall and Tattered Rose distress Stickles on this card in a few select places to draw the viewers eye in. I hope you enjoy it. I LOVE this sentiment! Papers are Carta Bella 6x6 True Friend. The sentiment is from Unity, and I have to say, it describes me to a 'T'. 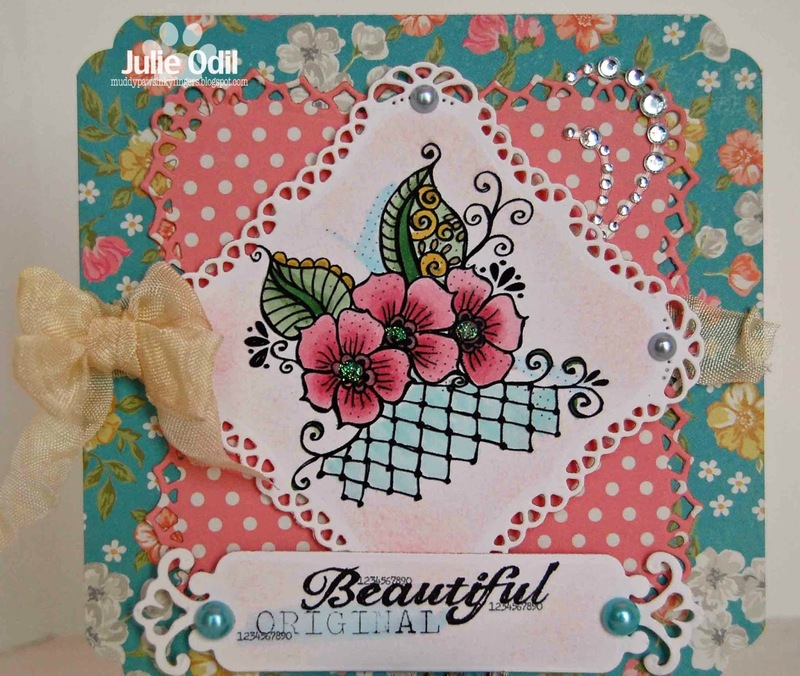 The image is by Stamping Bella. It's called, "Uptown Girl" (Audrey loves her makeup) You can purchase it here. The bling is Close To My Heart. I have blog candy I am giving away this weekend. To be eligible to win, follow my blog, and leave a comment. 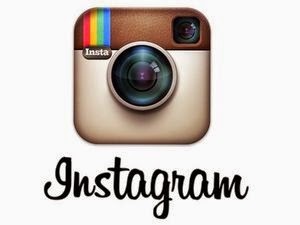 To increase your chances, comment on all my posts from Thursday-Saturday (there are quite a few!). I'll choose the winner early next week. Since the Friends With Flair link is still open, I'm going to enter this. It's Friday, and this is supposed to be the start of a 2-week vacation for me. However, my oh-so-wonderful boss is making me come in to work Monday morning for CPR recertification. Yeah. I bet he'd interrupt HIS two weeks for it. Oh well. I have a job! 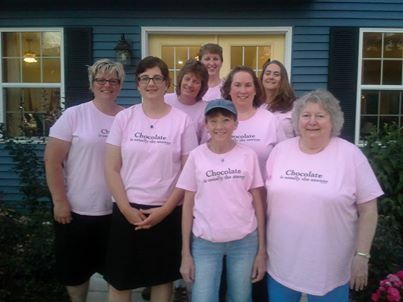 Our Tees say, "chocolate is usually the answer". Don't they just look like a great bunch of scrappers? Yup, they were! We shared supplies, some techniques, lots of food, and even more stories and laughs. I used one of my favorite Unity sets, Tulips & Daisies. I've colored the tulips a few times, but this was a first for the daisies. They were colored with Copic Markers. Then, I used a little Creative Inspirations Paint Fairy Dust on the petals for some lustre. I used Fancy Pants Hopscotch 12x12 papers on this card, a Lifestyle Crafts doily die, and Spellbinders die, a sentiment from Get Inky! 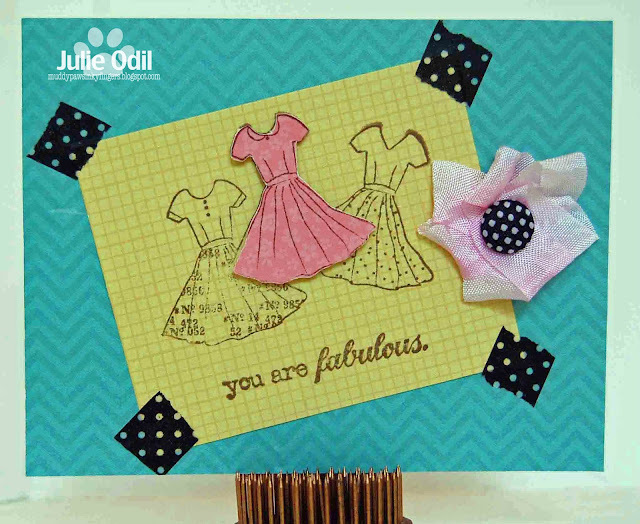 Stamps, a chipboard border from Close To My Heart, and chipboard confetti circles from my friend DeeDee, and UmWow Studio. 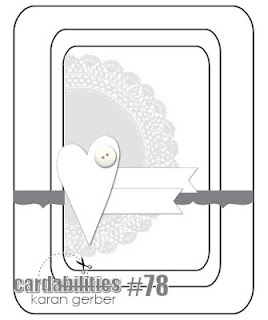 I'm going to post a couple other cards that I had on my blog earlier this week. I really like both of these. They both have Unity stamps on them and neither one got much traffic. I want my FWF audience to see them, too. I made this butterfly card for a tutorial on the All That Stickles blog. You can find the tutorial HERE. I used Unity's Bold Butterfly (Donna Downey) on this card. The sentiment is from Joy's Life "Pun in the Sun". 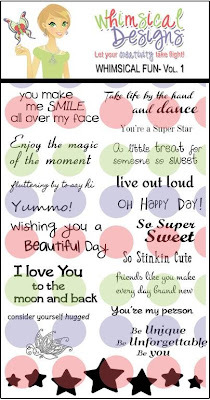 It uses, of course, the free digi image from Angie Blom. I loved the way this turned out. The colors of the digi matched the papers so well. The papers I used are Simple Stories Vintage Bliss 6x6. 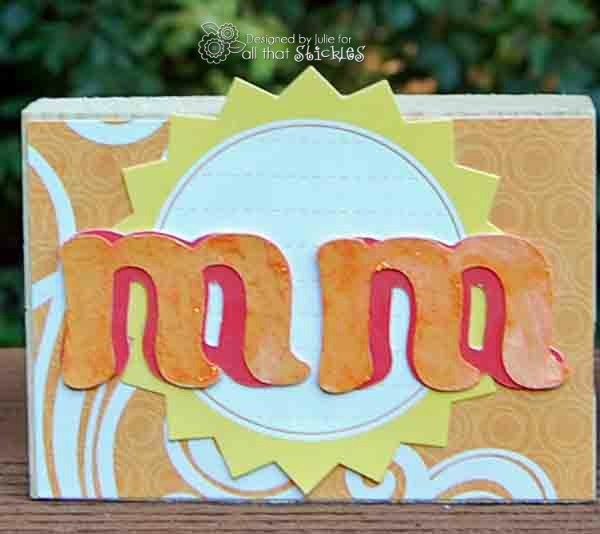 I used 3 different Spellbinder dies on this, and a corner rounder. I added some bling from Close To My Heart and some pearls from my stash. The cream crinkle ribbon is from 3 Girl JAM's coffee bundle. And, there's some Stickles on the flower's centers. I have more blog candy to give away this weekend. Karen Nofziger won last weeks. Tomorrow, I'm hopping with the Joy's Life design team so I'm giving blog candy away to celebrate that event. To increase your chances of winning, you can comment on any of my posts from Thursday, July 25 (there are 2) through Sunday, July 28 (there are 5 more posts Friday and Saturday). 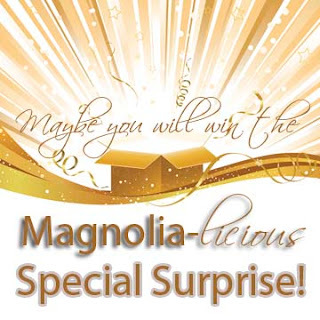 I'll announce the winner on Monday, July 29. 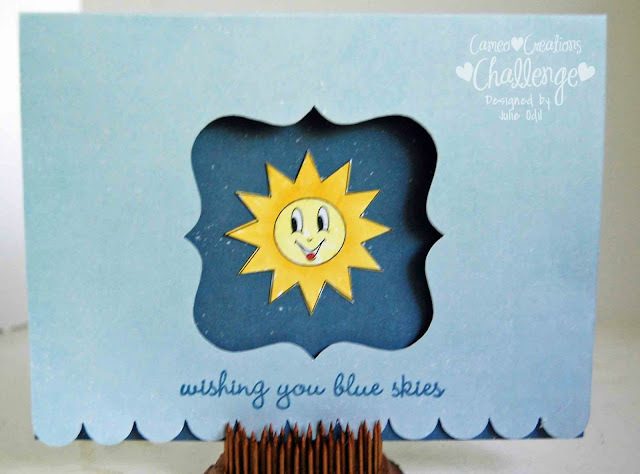 If you are looking for the Cameo Challenge "2 Shades of Blue" post, please click HERE! I kept it CAS (clean and simple), so the image and the ribbon would be the focus. The ribbon is Baby Pink from the 3 Girl JAM Baby Bundle. 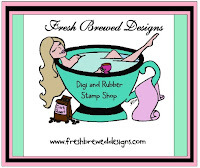 The stamp set is a Unity/Ippity Itty Bitty Fabulous Girl . The 6x6 pad is Simple Stories Vintage Bliss. The brad is Fancy Pants, from the Good Life collection. The washi tape is from my stash. 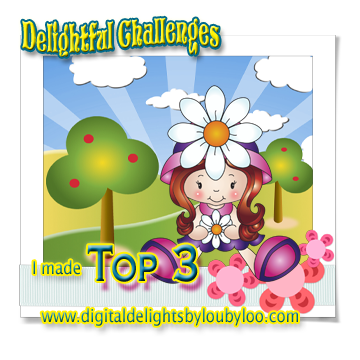 It's time for another Whimsical Wednesday Challenge over on the Whimsical Designs blog. This week, our theme is "Pile It On". Layer on the paper, the bling, the embellishments. 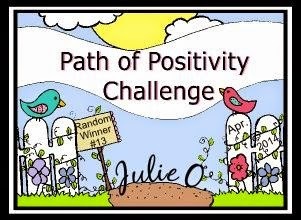 Our sponsor again this week is The Paper Parade, giving a $15 gift certificate to the challenge winner. The Paper Parade was also kind enough to furnish each design team member with papers and embellishments. 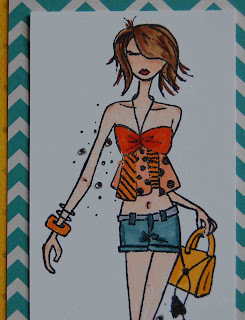 I got some Authentique and Fancy Pants supplies that were SO fun to create with! In my FAVORITE colors! 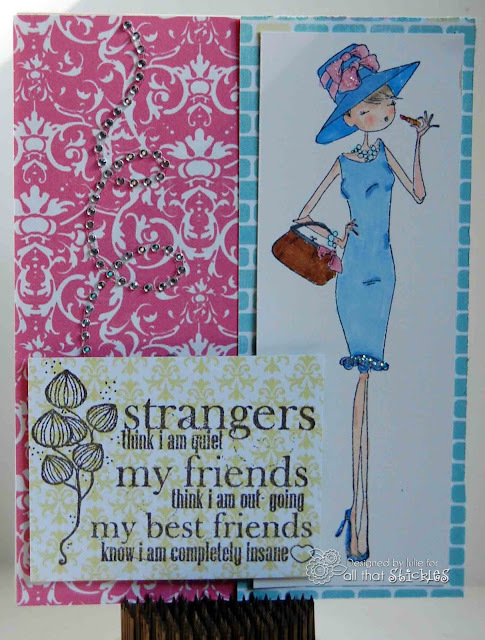 I used the sentiment from Whimsical Designs "Whimsical Fun -Volume 1" stamp set. I combined papers from both Authentique Seasons (Spring) and Fancy Pants Baby Mine collection. The card base is Close To My Heart lagoon. I have to tell you that I cheated on the butterfly. It is a stamp by Close To My Heart. You know exactly where to place each button and gem (also CTMH) by following the template of the stamp. Easy peasy. 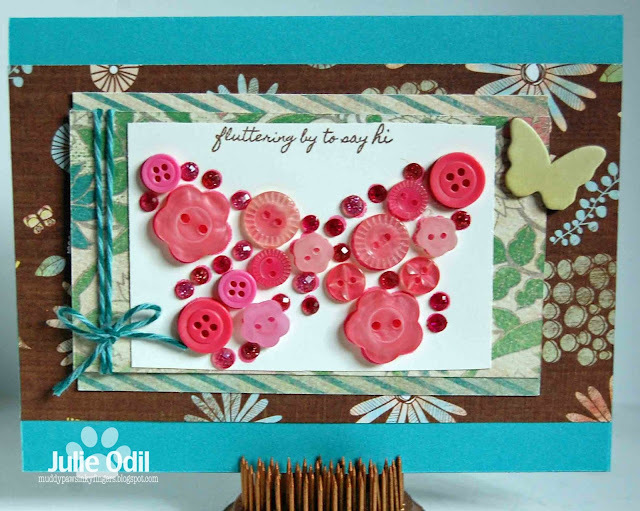 I added a Studio Calico chipboard butterfly, and some twisted teal Trendy Twine to finish off my card. That's it for me today. Now it's your turn to "pile it on" and join our challenge. 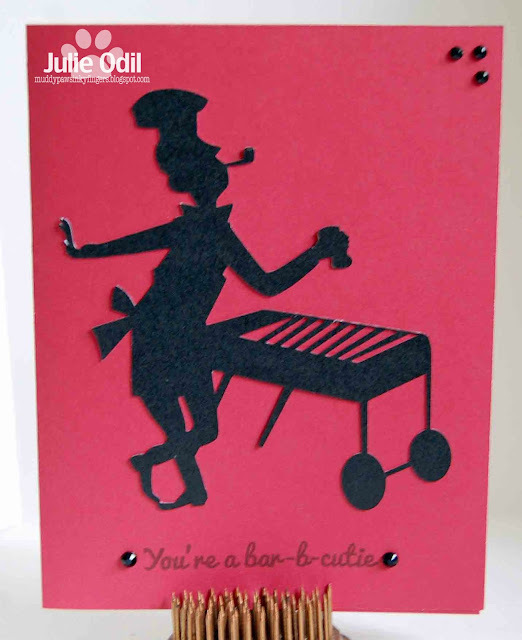 And don't forget to visit the rest of the talented Whimsical Designs team! Just a quick post to link this card to the SK digis linking party. 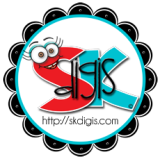 Sonia Kertznus is so generous with her digi stamps. I have gotten several freebies from her, but I've yet to link to her party, so I made this card for that reason. The base seemed like a great background for this pretty SK Digi bouquet, colored with Copic markers. I apologize for the glare of the glossy cardstock. Nature of the stuff, I'm afraid. I used a little Lemon Tart Trendy Twine and a sentiment from the "A Dog's Life" stamp set by Raisin Boat. Happy Tuesday, everyone. 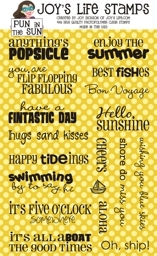 I promised to announce the winner of my blog candy today, and I will, but I want to share a couple cards with you first. 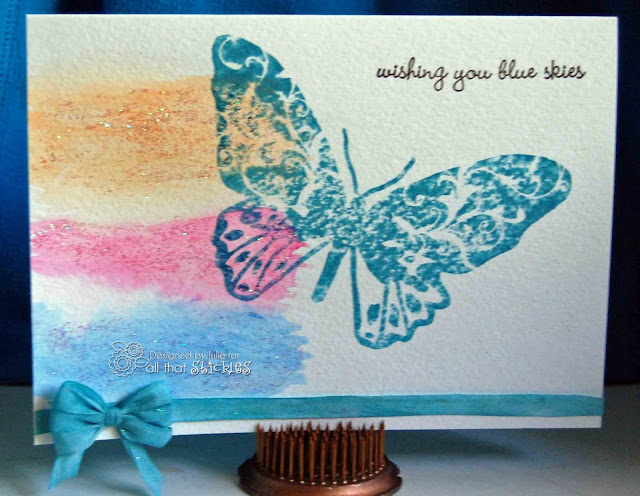 The card was made using an inexpensive watercolor paint set, a 5x7 watercolor paper card by Strathmore, Crystal Stickles, & May Arts white silk ribbon dyed to match the butterfly (and painted with Stickles). The butterfly is a Unity stamp called "Bold Butterfly". 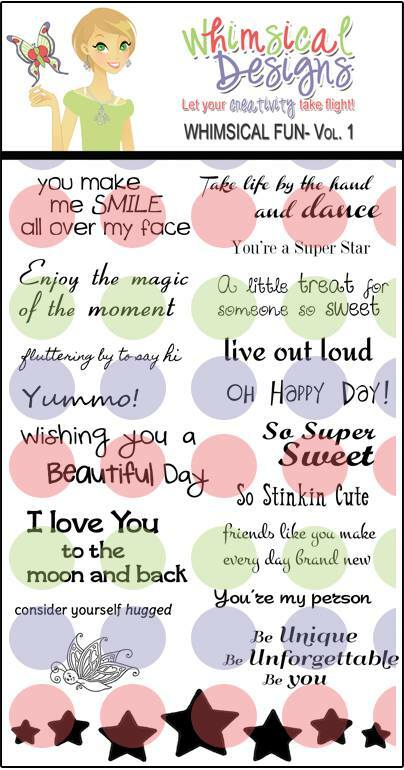 The sentiment is from the Joy's Life "Pun in the Sun" stamp set. I used Tim Holtz distress ink in Stormy Skies on the butterfly and distress stain in the same color on the ribbon. The sentiment was stamped using Close To My Heart Outdoor Denim ink. The second card is for the Unity Show & Tell group, using the free Unity digi from yesterday (7-22). Unity is having a Creative/Color contest, and I'm entering this card in the Show & Tell group to be eligible. I love the free image by Angie Blom. It was very fun to create with. The sentiment is by Joselyn Nielsen. 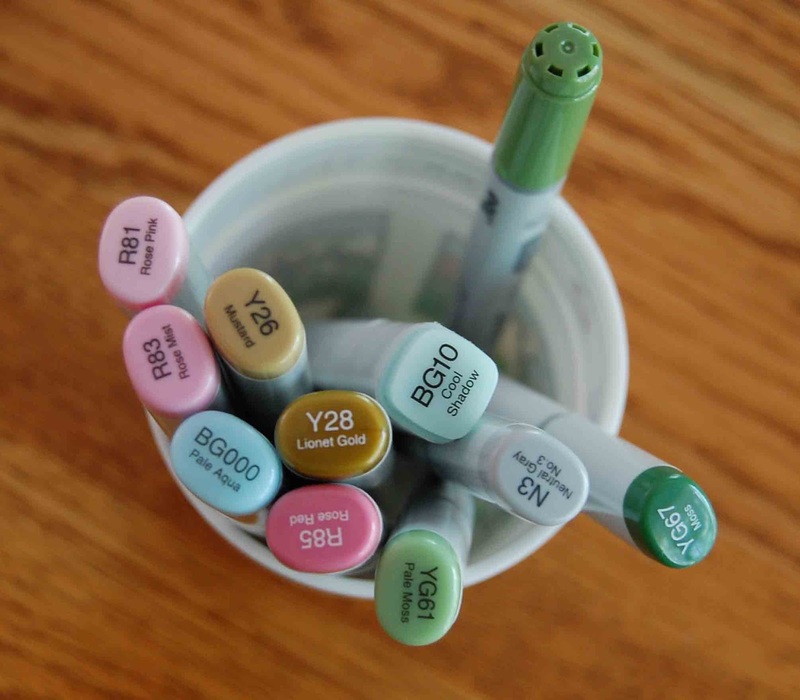 The one Ciao marker is YG 63. 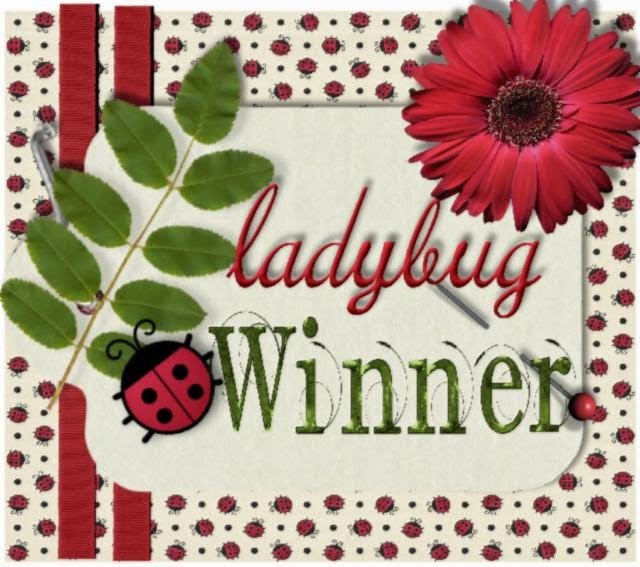 And now, I promised a winner for the blog candy from Sunday's All That Stickles blog hop! I used the comments from all weekends' blog posts (Friday, Saturday, and Sunday). Random.org chose -2 -- Saturday's post. Then, using Random.org again, it chose "3". That comment is Karen Nofziger. Her comment? 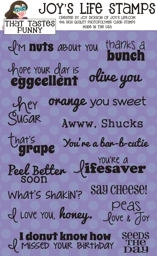 "Super cutie patootie" You gotta love that one! Congratulations, Karen! You win the goodies. More Stickles coming your way, plus other stuff. I'm hopping with the Joy's Life team this Saturday and will have more blog candy from this weekend's posts, (I'm counting 7 from Thursday-Saturday) so visit often to increase your chance to win! I wanted to make a home décor project this month, so I decided on wooden blocks. Here they are all together. 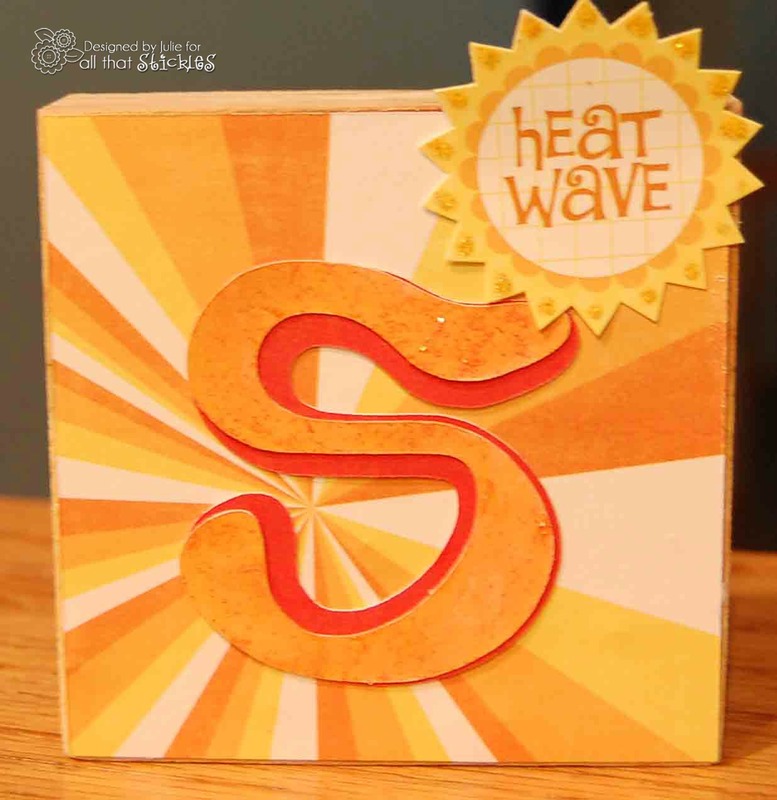 I used Echo Park Splash 12x12 papers on these blocks, because it seemed like the perfect papers for our theme. I also used the stickers that were in the paper pack, and glitzed them up a bit with Stickles. I cut the letters out on the Cricut using the Type Candy Font cartridge. 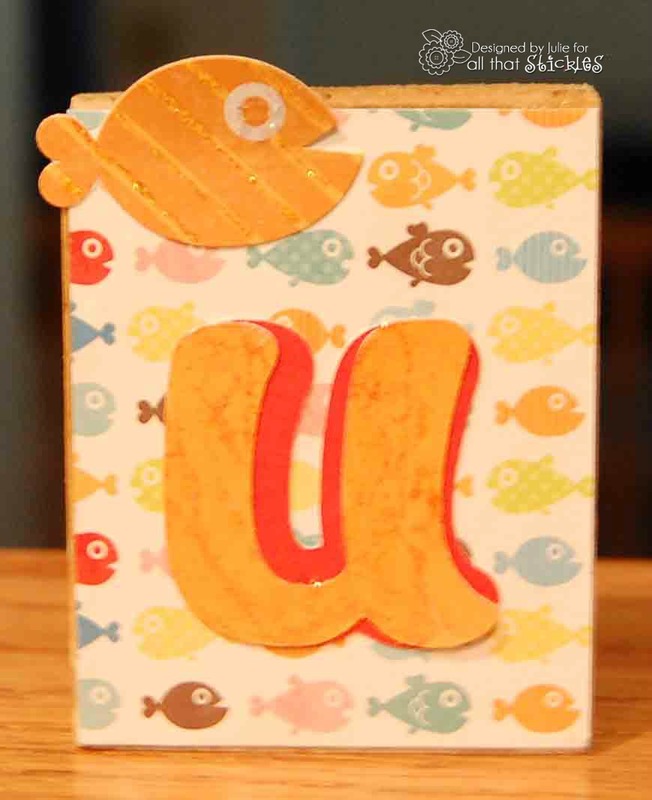 I'll show you a close up of each letter so you can see how they sparkle with the Stickles on them! For each of the letters, I used watercolor paints and Stickles together, painting the mixture together to coat the letters. I used yellow Stickles on the sun. The stripes of the fish are filled in with Tropical Tangerine Stickles. The rim of the sand bucket has True Blue Stickles on it. The shovel has Goldenrod distress Stickles on it. And, finally, the beach ball has a little Crystal Stickles on it to make it pop. 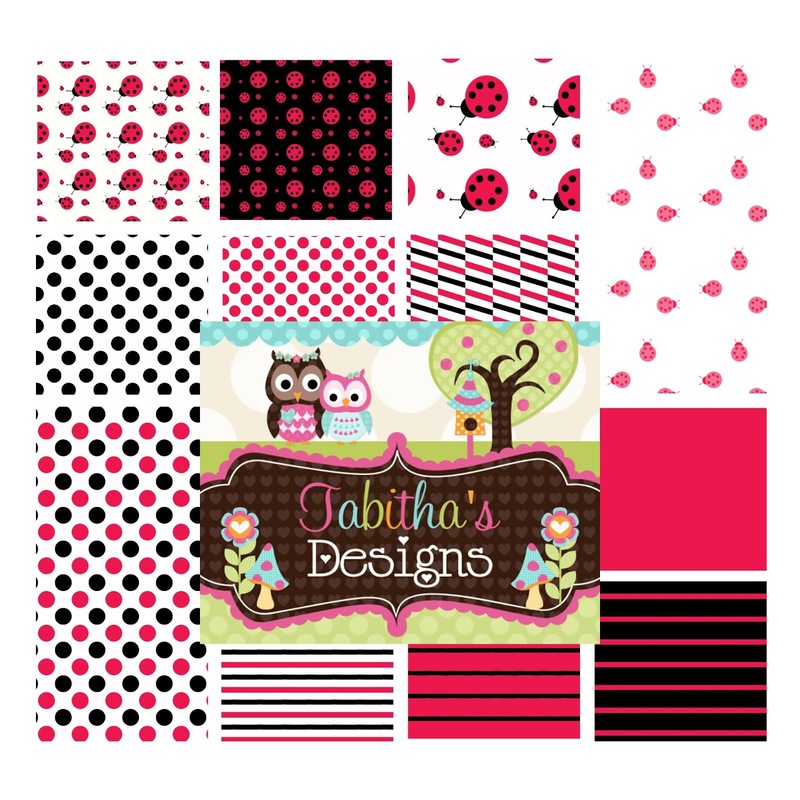 This is my final blog hop as an All That Stickles design team member. I'm moving on after this month. My father's failing health and too many commitments are making it hard to keep up with everything. I've enjoyed this experience very much and will miss my opportunities to share with you. I'm giving away one last chance to win blog candy while on this team. I have some Stickles to give away (of course), plus ribbon, buttons, a 6x6 paper pad and brads. To be eligible, please follow my blog and leave a comment on this post. 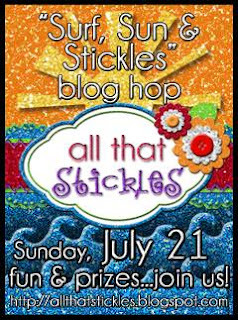 I will pick the winner next Tuesday when I have a tutorial on the All That Stickles blog. To increase your chances of winning, visit my posts from Friday and yesterday also. Your next stop is my good friend's Karen's blog. You are in for a TREAT! Happy Saturday, everyone! I hope you have fun plans for the weekend. I'm at a scrapbook retreat with 7 other friends I've met online. Woohoo! 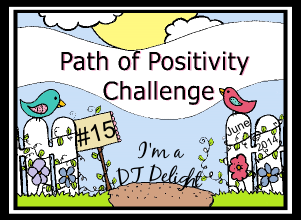 I have a post up today for the Joy's Life design team. It just so happens that its also the perfect card to leave at home for my husband. I like to leave little "love" reminders when I'm gone for a few days: things that will make him smile after a busy day of work. I used my Silhouette Cameo to cut out the image, found in the Silhouette store. I used the Joy's Life stamp set, "That Tastes Punny". You can find all her fun sets here, in her store. 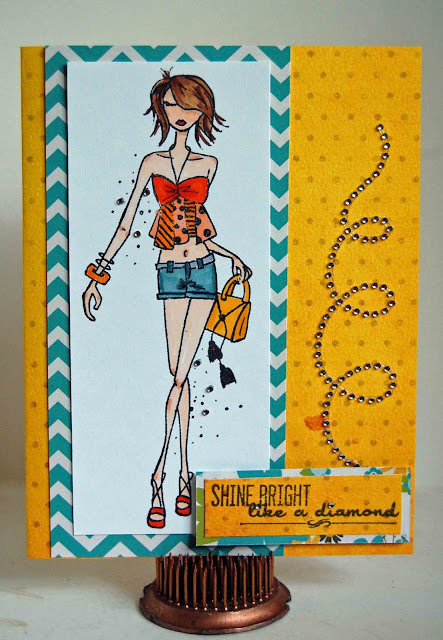 I added a little bling from my stash, and the card was done. All that's needed is a mushy message inside! It's a celebration this week for Friends With Flair! I'm writing this and scheduling it ahead of time because I'll be on a scrapbook retreat Thursday-Sunday (July 18-21). I've never done anything like this before. I've gone on an evening crop at the LSS, but never an overnight, much less a 4 day one. AND, I've only met these ladies online. I know them by names like LBAB and JeepMama and Clayton528. Do they sound trustworthy to YOU? If I don't post next Friday, someone please send a search party! OK, where was I? Oh, yeah, it's a celebration! Yesterday was my BFF's birthday. I made her two cards. I wanted one to be super fun, and one to be pretty and serious. You get to see the fun one this week and the serious one next week. This is Roxanne, and she is really strutting her stuff. I thought she would be perfect for a fun 40-something birthday card. Inside, I wrote, "did we ever look like that?" And of course, "Happy Birthday". Here's a close up of her, with some of the bling I added to make her "shine like a diamond!" I colored her with Copic markers, used some BoBunny papers, a Unity sentiment, and Close To My Heart bling. There she is. What do you think? Will my BFF like it? I'm giving away some blog candy. I'm hopping with the All That Stickles design team on Sunday, 7-21. It is my final hop with the team, as I'm moving on to other things. In honor of the fun I've had on the team, I'm giving away some Stickles (of course), buttons, brads, ribbon, and other goodies. To be eligible for the blog candy, please follow my blog and leave a comment on this post. To increase your chances of winning, you can comment again on tomorrow's post for Joy's Life stamps, and hop with the All That Stickles team on Sunday and comment on my post (7-21). Good luck! Back to the challenge! 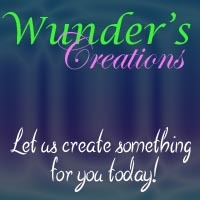 It's a new challenge at Whimsical Design, and it's gonna be a REALLY fun one! Everyone loves to work with our favorite colors, right? Well, this week, we get to do just that. Our sponsor is the Paper Parade. The winner of the challenge will get a $15 gift certificate to their great store! Do your favorite colors change with the seasons? Mine do. In winter, I lean towards blues and browns. Spring, is more soft pastels. Summer finds me craving bright colors, and by Fall, I'm leaning towards greens, oranges, and browns. So, when I was asked my favorite colors so our sponsor could send some product, I had to think about it for a bit. I requested bubblegum pink and teal. The paper, from our sponsor, The Paper Parade, is Authentique Spring (from the Seasons Collection). 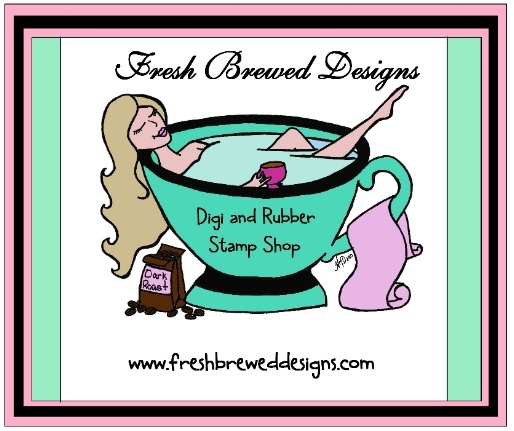 The image is a My Favorite Things stamp, Puppy Girl. The sentiment, is of course, Whimsical Designs. I love this font. I love how crisply it stamps! 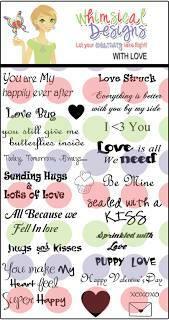 It is the "With Love" stamp set, found HERE. I colored the image with Copic markers and sponged around the outside with Tim Holtz distress ink in Spun Sugar. The 3 Girl JAM ribbon is the cream ribbon from the coffee bundle. 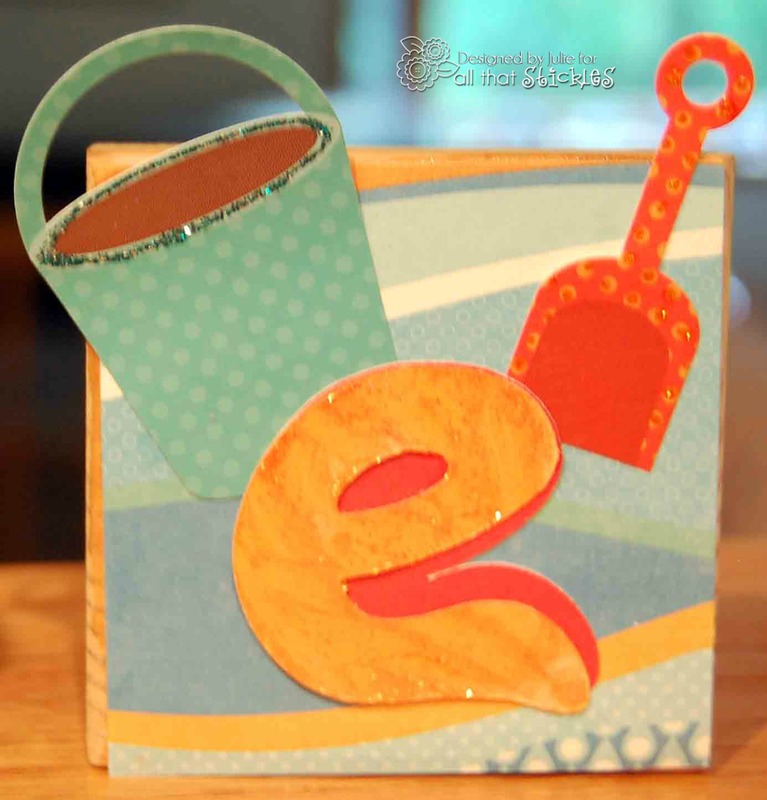 I used several Spellbinder dies on this card. And, a little bling from my stash. This card was given to a friend when she got a new puppy. Two friends got new puppies within a couple weeks of each other. You saw one of the cards last week, and this one this week. No puppies next week, I promise! Pick out your favorite colors and join us at Whimsical Wednesday Challenges. And, visit the rest of the design team. They're amazing!